4seating.com Blog: Avoid Julia Roberts This Mother's Day With These Picks! Avoid Julia Roberts This Mother's Day With These Picks! Mother's Day is fast approaching, and one great way to spend time with the person who brought you into the world is to bond with them over a movie. However, Mother's Day fare is usually quite sappy and formulaic--one glance at the usual "Best Movies For Mother's Day" lists that most online sites compile reveals the same mix of Steel Magnolias, Stepmom, Terms Of Endearment, Beaches, and Erin Brokovich shuffled ad nauseum. But seriously, do we really think that our moms want to watch a Julia Roberts film on Mother's Day? I don't know about yours, but my mother would rather be watching The Song Remains The Same--give our parents some credit, they're not all that different from the rest of us. With that in mind, the following list attempts to compile a list of films that have all the usual Mother's Day themes--and may still indulge in a little feel-good melodrama here and there--but which the rest of us can stomach as well. Enjoy! 1. FREAKY FRIDAY, 1976: in the same year that Jodie Foster made her dramatic breakthrough in Taxi Driver, she starred in this delightful Disney comedy that explored what would happen if a mother and daughter magically traded places for one day. No tearjerker melodrama here, just a healthy dose of retro-70s fun. An equally amusing (and popular) remake in 2004 with Lindsay Lohan and Jamie Lee Curtis proved that the idea is timeless; if the original is too old, you can always opt for the newer version. 2. 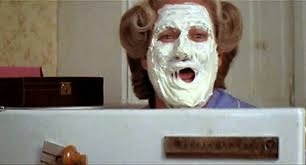 MRS.DOUBTFIRE, 1993: One of the late Robin Williams' greatest screen performances, Mrs.Doubtfire's gag-filled humor explores what it truly means to be a mother, without ever becoming preachy or didactic. Williams is on fire, as each scene of him in granny drag attempts to top the next. Like Freaky Friday this is also another film that the whole family can enjoy, making it perfect for extended gatherings. 3. 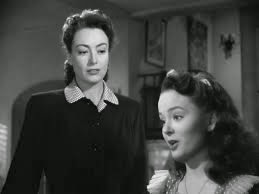 MILDRED PIERCE, 1945: Joan Crawford may not have been the greatest real-life mom (Mommie Dearest is a left-field cult classic that's perfect if you're looking to make everyone in your home theater squirm! ), but in this film she milks the portrayal of a mother who spoils her older daughter rotten, in order to compensate for the sudden death of her younger daughter. Sure, there's melodrama, but this is old time Hollywood melodrama with all of its attendant grandiosity, not cookie-cutter Cameron Diaz fare. 4. CHANGELING, 2008: Clint Eastwood lent a gritty, realistic touch to this tale (based on a true-life incident) of a mother whose son disappears. He is found, but she is now convinced the boy isn't him and fights to find her real son. Angelina Jolie gives one of her finest performances, filling her character with a steely determination, as the film becomes a complex and harrowing indictment of male chauvinism, creepy insane asylums, and political corruption; Changeling is a heavy choice for Mother's Day but is so exceptionally made, and showcases the inner strength of its mother so vividly, that it's a perfect choice.